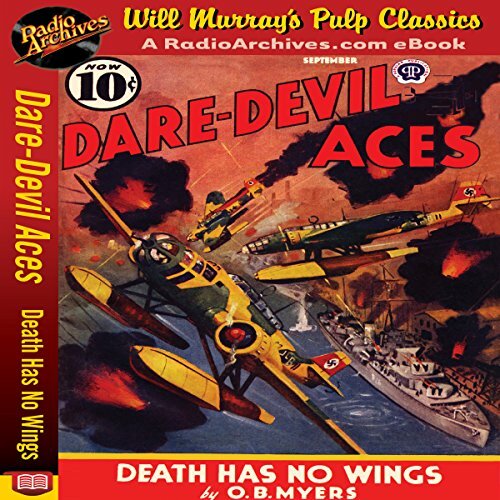 Showing results by narrator "Pete Milan"
Burning action in the savage skies over Nazi Germany! 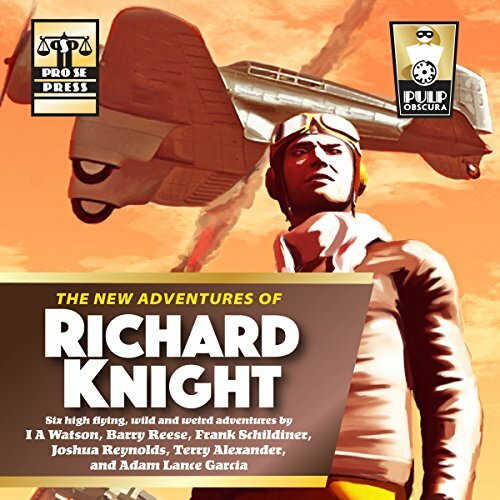 Written as history was actually unfolding, this story mirrors the horrors of war in 1940. First Czechoslovakia fell. Then, like dominoes, Poland, Finland, Denmark, Holland, Belgium, Norway, and France. England was planned to be next. Day and night bombing raids over London paved the way. And against this background, "Death Has No Wings" was set. An adventurer. A man of mystery. A hero. 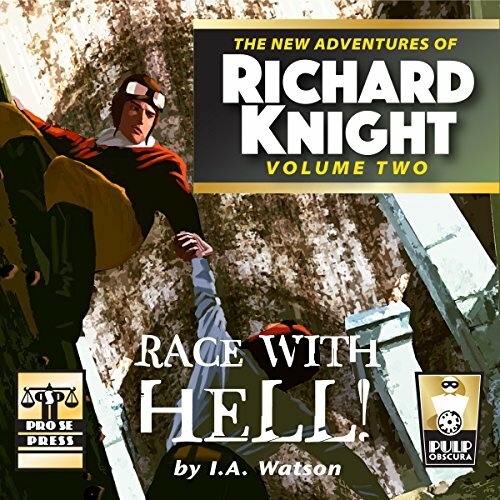 Max Davies, newly moved to Atlanta, Georgia, finds himself unable to avoid danger, intrigue, and death. Donning the mask of The Peregrine, Davies seeks to bring justice to a world dying for it and peace to his own troubled spirit. And the only price he may have to pay is his soul. Music professor Gus LeGarde and his wife, Camille, are looking forward to a relaxing vacation at Paines Creek Beach on beautiful Cape Cod. 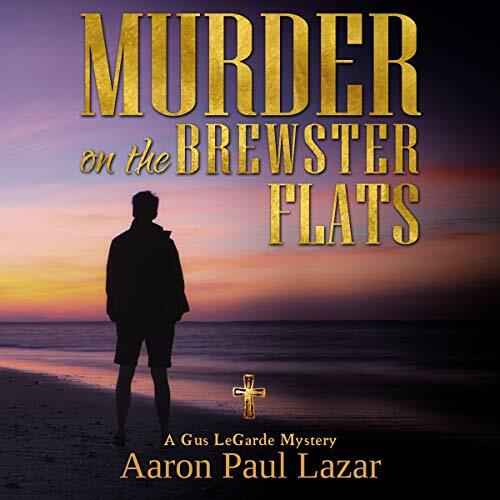 But Gus barely has a chance to feel the sand between his toes before a near-miss car accident drags him right into the middle of a local family feud - and a centuries-old mystery that's begging to be solved. As Gus is drawn further into the conflict between the Cooks and the McNabbs - two families with a grudge going all the way back to colonial times - he and Camille keep uncovering more questions than answers. It's the holiday season of 1965, and the fabulous Caesars Palace resort and casino is about to open in Las Vegas. And its vault is filled to bursting with cash. 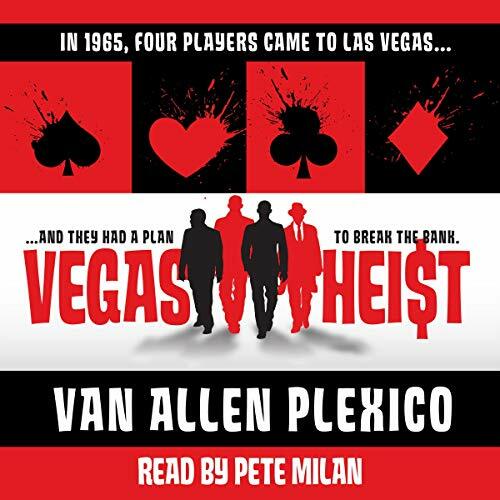 John Harper and Saul "Salsa" Salzman roll into town with inside information: a secret way into the casino, leading right to the vault itself. Putting together a small but highly skilled team, they make their move, aiming for untold riches. But jobs like this never go as planned. A beautiful widow, a jealous enforcer, and a murderous rival casino owner all want a piece of the pie. 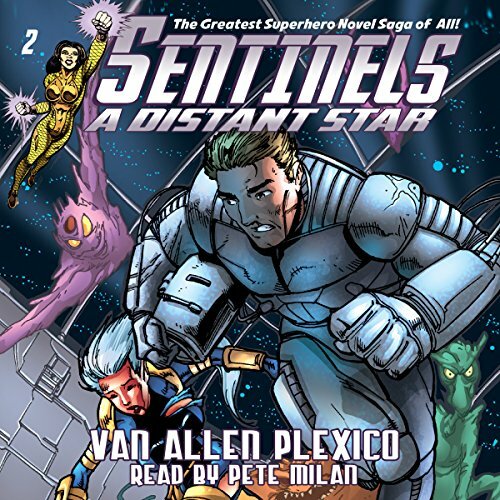 The greatest superhero audiobook saga of all begins here, with Volume 1 of the Sentinels saga! The power-mad Warlord stands poised to conquer - or destroy - the universe itself. Can anyone stand in his way? Enter the Sentinels: College student, Lyn Li - brilliant inventor, and total jerk, Esro Brachis - beloved national hero, (and amnesiac! ), Ultraa, flamboyant showman, Damon Sinclair, and mysterious alien cyborg, Vanadium. When at last they all clash atop the Warlord's floating city, can the world itself survive? Right from the Silver Age! Having saved the world from the sinister Warlord, Esro Brachis wanted nothing more than to relax and work on his wondrous suit of armor. But then the superpower-adapting robot attacked...And alien soldiers landed in his back yard...And a strange force hurtled him across the galaxy, with only a beautiful alien starship officer at his side. Come to think of it, the whole situation actually might not be so bad - if only she didn't want to kill him! 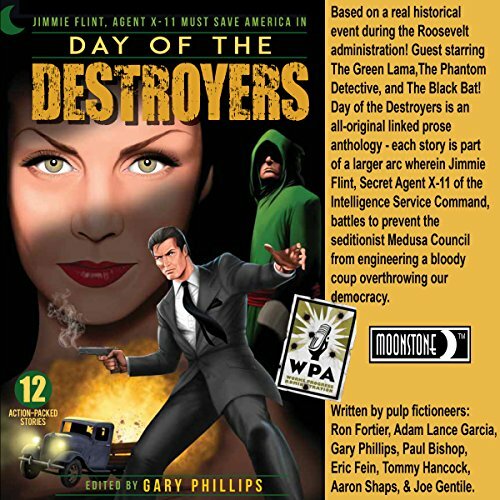 Day of the Destroyers is an all-original linked prose anthology - each story is part of a larger arc wherein Jimmie Flint, Secret Agent X-11 of the Intelligence Service Command, battles to prevent the seditionist Medusa Council from engineering a bloody coup overthrowing our democracy. 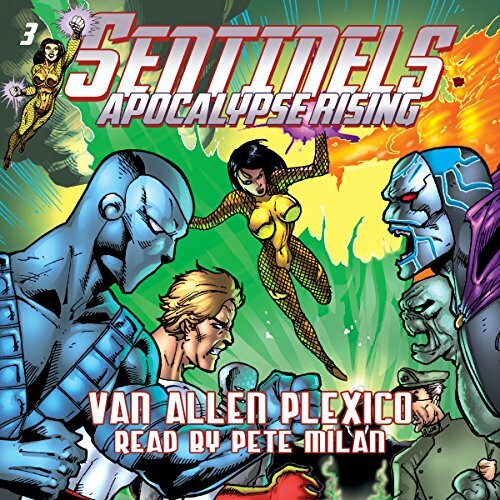 Agent X-11 fights across the country preventing an aerial assault on Chicago’s rail lines, destroying a secret factory of gas meant to enthrall millions in New Mexico, and so much more! 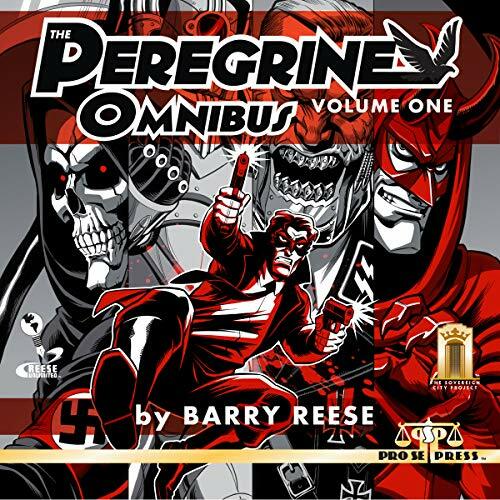 Volume 3 in the best-selling Sentinels superhero novel series! The climax of the Grand Design trilogy! Trapped between a horde of superpower-adapting robots intent on devouring the planet, and an alien starfleet determined to wipe out both the robots AND the Earth, Pulsar and the Sentinels must find a way to defeat BOTH monumental menaces. Of course, this would be the worst possible time for the dimension-hopping villain known as the Warlord to make his return...! Adolf Hitler, the "Supreme Warlord" of Germany's Third Reich, ruled Europe with an iron fist. With his political promises to a desperate people he spoke of a reign that would last 1,000 years. Under his command humanity had entered a new dark age. Tales were told of horrors taking place in the East - of railroad cars, of ovens, and death. Still, there was one little secret he had kept to himself. One U-boat captain discovers that Hitler was a vampire! The hair on the back of my neck is stand up! Even in the future, dames still need help, criminals still need capturing, and men still hire out to do both! 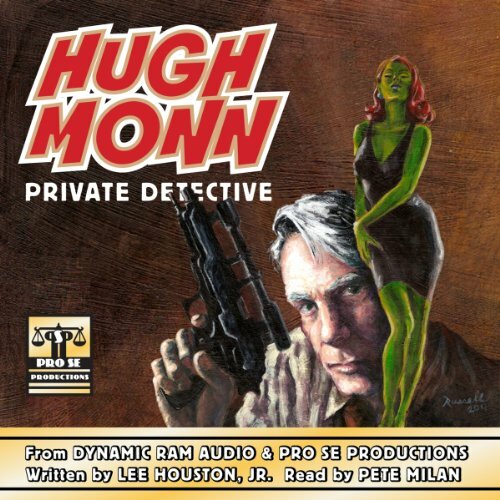 Hugh Monn, Private Detective, the debut collection from author Lee Houston is a New Pulp mash up of two classic genres-the hard boiled detective and science fiction! Join Hugh as he walks the glittering, yet dark streets of Galveston 2 and finds as much mayhem and corruption in the future as there's ever been!